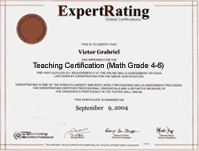 (leading to ExpertRating Teaching Certification Math-Grade 4-6). Reinvent math instruction for grades 4-6 by bringing hands-on learning, inexpensive manipulatives, and real-world connections into your classroom. Whether you’re a new teacher or a seasoned pro, this course will help you get your students excited about math! Over the next six weeks, you'll learn the best ways to walk students through the complexities of elementary school math. From teaching them the best way to learn complicated vocabulary to turning them into problem-solving detectives, you'll discover lots of fun and practical ways to extend your students’ learning into their homes, the community, and the world. Whether you end up using clever geometry manipulatives or handmade fraction bars, math journals or Family Math nights, you'll soak up dozens of strategies that require little or no money if you supply a lot of imagination. If you’ve been waiting to jumpstart your math instruction, now’s the time to double your teaching power without adding a lot of work. This course includes a knowledgeable and caring instructor who will guide you through your lessons, facilitate discussions, and answer your questions. The instructor for this course will be Michele Thrailkill . About the ExpertRating Online Teaching Course (Math Grade 4-6) instructor : Michele Thrailkill fell in love with math as a child and has spent the last 10 years of her teaching career making numbers fun for a diverse range of students. Eager to share her easy, inexpensive, and creative teaching strategies with others, Michele worked for a state Department of Education, where she created statewide lesson plans and evaluated Web-based material for classroom inclusion. In her spare time, she published two teachers' manuals focusing on introductory mathematics for preschool and elementary students. Teaching Math: Grades 4-6 requirements: For taking this instructor led ExpertRating Online Teaching Course (Math Grade 4-6) you need Internet access, e-mail, and the Microsoft Internet Explorer or Mozilla Firefox Web browser. "I am a retiree starting a new career. The course was excellent for me. The instructor was helpful in the discussion center and taught the lesson in a conversational way which made it easy to follow." "I am finding your feedback and this discussion area to be just as informative as your lessons." "I am just enjoying these math lessons so much. I am currently getting re-certified so I'm not in the classroom, but I have a third grader and a fifth grader, and the techniques have really helped me to help them expand their knowledge without them even knowing it! Thanks so much!" "I found this class to be very helpful. The lessons were loaded with lots of useful strategies to use in the classroom. I also liked the supplementary material. I have already used those in my room. Thank you!" "I have had some family health issues and it was challenging for me at first, but I always enjoyed the tremendous ideas you shared and techniques. Everything was easy for me to relate to and better yet, utilize. Thank you from myself and my junior high resource kids." "I loved this course. I have accumulated so many great ideas from the instructor and other students. It has been so valuable. Thank you"
"I really liked this chapter. I am not fond of word problems but your approach really explained things in a clear and concise way." "I thoroughly enjoyed this class. The creative tips were very helpful and I will definitely use them and frequently refer to my notes. Thanks a bunch!" "I thought the instructor did a great job of presenting the material and gave very helpful links for the teachers to use in the classroom." "Michele,I truly enjoyed this course. You gave many practical, helpful suggestions on how to make math more interesting and relevant to today's students. Even though I am a veteran teacher, I am constantly looking for new ideas to incorporate into my lessons. I'm keeping the printouts of the lessons and the website links to reference in the future. Thanks so much!" "Michele - thank you for a great class. I am just starting math centers for my gifted students, and now I have so many great ideas! This class has been an excellent experience – well worth the time." ExpertRating is one of the world's only ISO 9001:2015 Certified companies (from TUV America) offering an Online Teaching (Math Grade 4-6) Course (leading to ExpertRating Teaching (Math Grade 4-6) Skills Certification). When you choose the ExpertRating Online Teaching Course (Math Grade 4-6) you can be sure that you are buying a premium International certification that is recognized by hundreds of employers and Government bodies in the US and other countries. With ExpertRating you get certified quickly online and you are equipped with a store house of information through the in-depth ExpertRating Online Teaching Course (Math Grade 4-6) Courseware which has been developed by experienced Entertainment Industry Experts. You can buy this ExpertRating Online Teaching Course (Math Grade 4-6) leading to Teaching certification at a special offer price of only $129.99 which includes the in-depth ExpertRating Online Teaching Course (Math Grade 4-6) Courseware and exam fee. This is the best value for money Teaching Program available till date. You get the following services within the USD $129.99 fee. In-depth ExpertRating Online Teaching Course (Math Grade 4-6) Courseware including scenarios and case studies. The process of getting yourself certified is very simple. 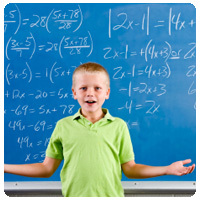 All you have to do is buy the ExpertRating Online Teaching Course (Math Grade 4-6) for $129.99. Log in to the instructor led course using your password. Go through the ExpertRating Online Teaching Course (Math Grade 4-6) Courseware (which would take you 6 weeks) and complete the final Teaching Certification exam at your convenience. You can complete the exam within 2 months of buying the Teaching Certification. The result of the exam appears as soon as it is completed, and your Teaching Certificate is mailed immediately. The final exam is fully based upon the ExpertRating Online Teaching Course (Math Grade 4-6) Courseware that is provided along with the Teaching Certification. If you have gone through the courseware properly you should not have a problem clearing the exam. The exam consists of multiple choice questions from all chapters of the ExpertRating Online Teaching Course (Math Grade 4-6) Courseware. Teaching Math: Grades 4-6 is a valuable Certification which will make learning Math more interesting and fun for your students. 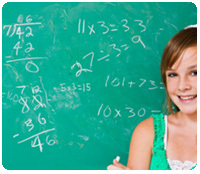 The Teaching Math: Grades 4-6 course provides a comprehensive understanding of geometry, fractions and multiplication. The course will enhance the Math teachers’ abilities to use manipulative materials and mathematical techniques. You will also come across Math terminology during the passage of this course and some of the lessons have been packed with innovative and creative problem solving strategies. The course will help the teachers to make the students develop mathematical patterns and relationships. This course will open new avenues for Math teaching by its emphasis on focus for interpretation and mathematical explanation. The ExpertRating The Teaching Math: Grades 4-6 Certification course will make you familiar with innovative teaching methods to teach Math to your students. Whether you’re a new math teacher or an old pro, this course will help you get your students excited about math! To get started, you need to know what kind of learners you have in class. Visual, auditory, and tactile-kinesthetic students are all going to process your lessons differently. The trick is learning teaching strategies to get everyone up to speed, so that's what will be talked about here in this first lesson. In this lesson, you're going to find out how to teach your students to talk the talk as they walk the walk in your math classroom. You'll discover five keys to effective vocabulary instruction, and you'll find out how to start using them in this lesson. Ever wonder if your students have any number sense? It’s sometimes tricky for children to understand how 1 relates to 100 or how 100 relate to 1,000. But they won’t be confused much longer if you try the smart tips for number play that you'll go over in this lesson. 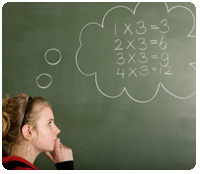 Is multiplication mastery becoming a bore for your students? In this lesson, you'll learn how to multiply the fun in your classroom with models, facts beyond the tables, and real world applications. In this lesson you'll step into division, evaluating strategies for teaching the long and short of it. From the grocery store to the baseball game, you'll discover ways to connect division to life outside the classroom. This lesson is packed with a creative punch! Are you ready to halve the work with fractions in your classroom? This lesson will look at a variety of manipulatives and models that bring fractions to life. 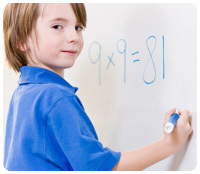 You'll learn how to tell when they’re proper, improper, and mixed numbers so you can teach them like a pro. Ready, set, solve! This lesson will show you how to get your young math detectives thinking with some innovative problem-solving strategies. The best part is that you get to bring the whole world into your four walls. Now’s the day to hop a plane with geometry. This topic is a student favorite! You'll learn how to make geometry hands-on and practical within the space of one lesson. As an added bonus, you'll learn how to get your students thinking into the future with some geometric career connections. You may have already tried cooperative group work in your math classroom, but get ready to polish your approach with this lesson’s tips on integrating group work to maximize student learning. Whether you want to use pairs, clusters, or teams, ask your students to pull together for some fun math lessons. It might seem a little funny to break out the composition books in the math classroom, but don’t be surprised that when your students read, write, and talk about math, they're learning multiplies. By getting kids to write, you not only get a sneak peek into their minds, but you can help them embrace the multidisciplinary world around them. Most students see assessments as red pens and big x marks, but it doesn’t have to be this way. In this lesson, you'll learn the keys of effective performance and traditional assessments that will help you understand how well you’re teaching and how well your students are learning. Are you are always looking for ways to involve students’ families in math? From assigning the right homework to designing Family Math Nights that’ll have the whole school talking, you can take the math classroom to students’ homes and bring their families to school with the smart strategies you'll discover in this lesson.